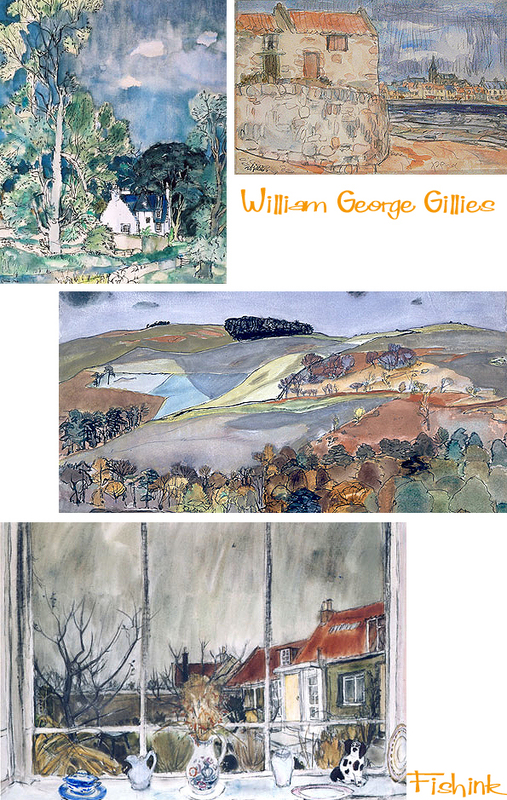 Sir William George Gillies 1898-1973 was born in Haddington, East Lothian. His interest in art was encouraged by his uncle, William Ryle Smith, an art teacher and watercolourist from Broughty Ferry. He enrolled at Edinburgh College of Art in 1916 but after two terms was called up to serve in the war in 1917, resuming his studies in 1919. Assisted by a travelling scholarship, Gillies studied under André Lhote in Paris in 1923 and he went on to visit Italy in 1924. 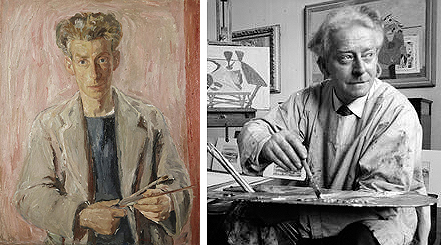 For a brief period after these experiences he worked in a cubist manner, but would later revert to a more traditional style. His cubist influenced works are typified by the 1933 still life, Two Pots, Saucer and Fruit. The arrangement of the objects, which are close together on a tilted table top, are influenced by Cézanne, whereas the understated colours and textures are reminiscent of Braque and Picasso. In 1934 Gillies attended an exhibition of Paul Klee’s work and was impressed by the childlike qualities and imaginative use of colour that he saw. Klee’s influence is clear in Gillies’ 1934 work, The Harbour, which depicts the harbour at Anstruther. Gillies has created a grid-like composition, using bold blocks of contrasting colour emphasising the vertical lines of the buildings and the ships masts. This is balanced by the use of rippling horizontal brushstrokes. 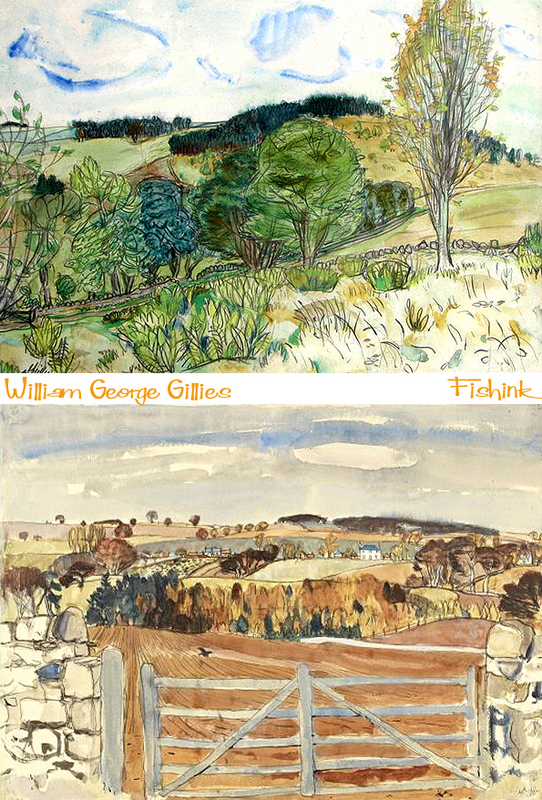 Although he experimented with portraiture in his early career, Gillies concentrated principally on landscapes and still lifes, frequently depicting the Lothian, Fife and Border regions. 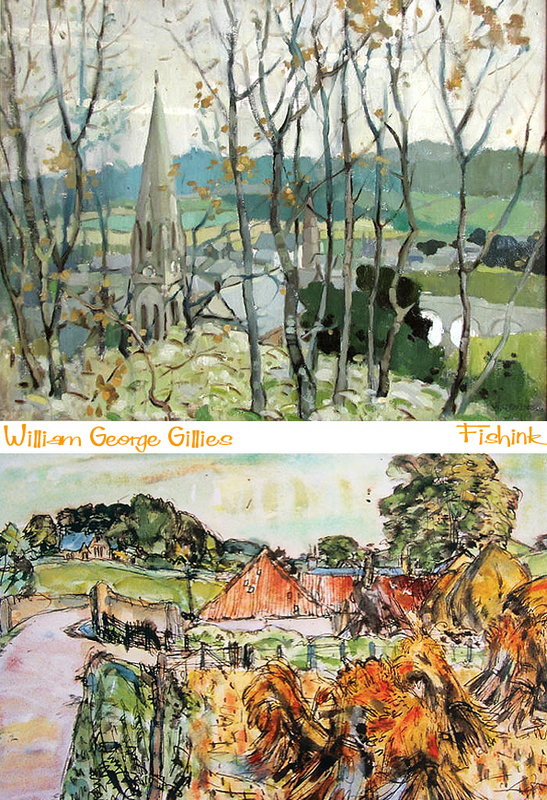 Both in his prolific output over the course of his career, and in his 40 years of teaching, Gillies influence on Scottish painting of the twentieth century has been profound. A couple of my favourites here. 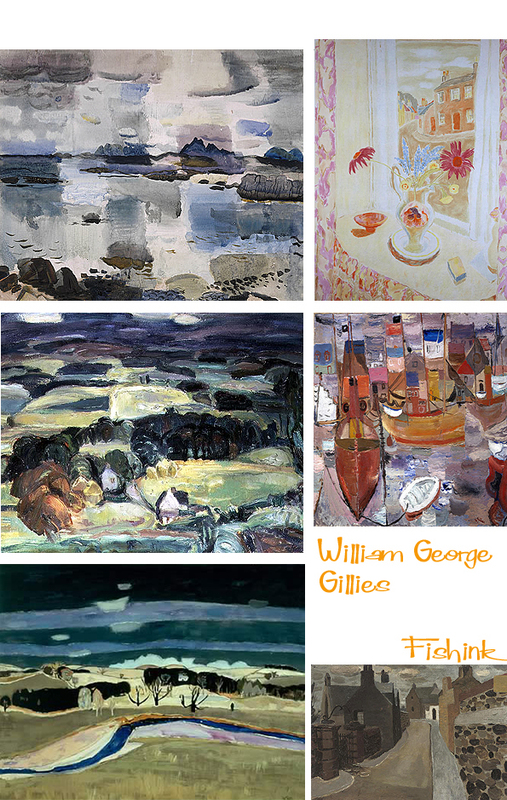 The Scottish Gallery, Edinburgh is hosting an exhibition, William Gillies, Landscapes and Still Lifes which runs from the 11th January – 3rd March 2012. more info on their site here. 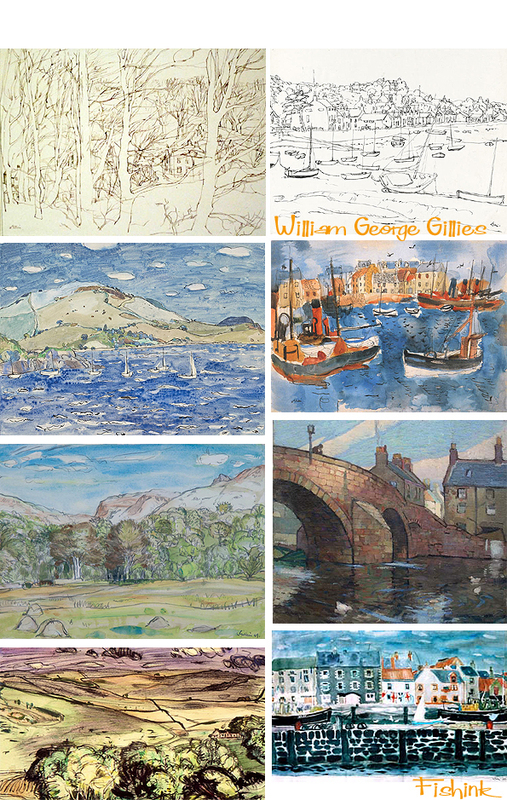 Many thanks to National Galleries Scotland, Bourne, Aberdeen Art Gallery, The Scottish Gallery, Royal Scottish Academy, Duncan R Miller and Louise Kosman for use of images from their sites. ← Fishink in Manchester with Graffiti.